This week, we consider property prices in New Zealand, what lies ahead for the market and suggest some of the country’s most affordable areas. 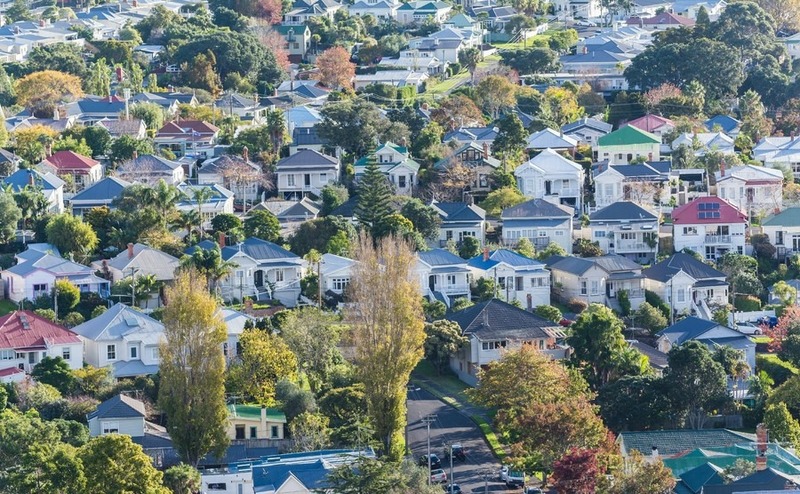 After it was announced that the boom was over, the median house price across the country ended the year at $550,000 according to data from the Real Estate Institute of New Zealand. 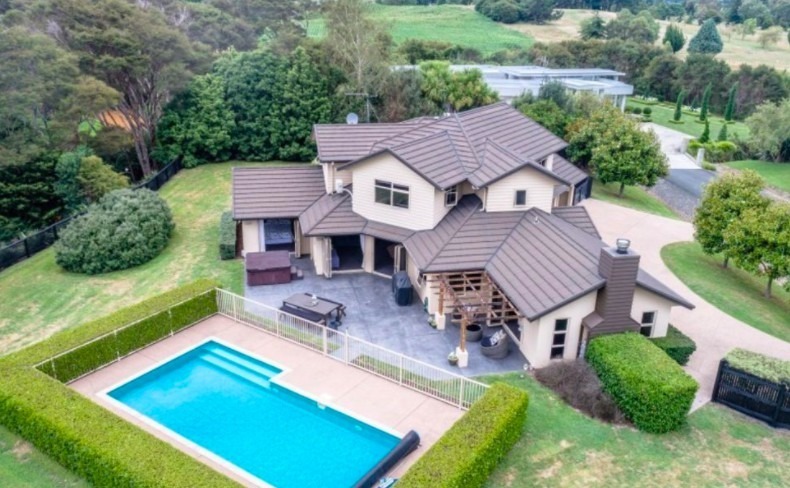 In Auckland, this remained considerably higher at $870,000 but still nowhere near the $1million peak. The same REINZ data also showed proof that demand for property also appears to have decreased, with it now taking an average of 32 days to sell a property – one more day than it took back in 2016. The first data of 2018 was recently released by property data and analytics experts, CoreLogic, and it shows that the market in the country’s major centres has cooled off. Asking prices in Auckland, Wellington, Canterbury, Waikato and Otago either fell or remained the same in January. Regionally, the biggest increase in price in January was in Gisbourne, a city on the east coast of the North Island known for its wineries and surf beaches, where prices rose by 19.5% on where they were in December to hit an average of $344,082. 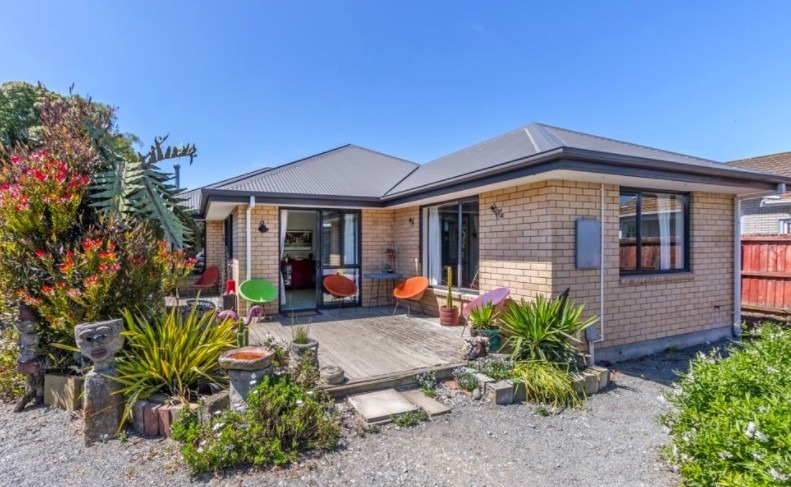 Prices in Wairarapa, the region on the south-east corner of the North Island which includes Wellington, rose by 10.3% to an average asking price of $473,850 (£245,890). 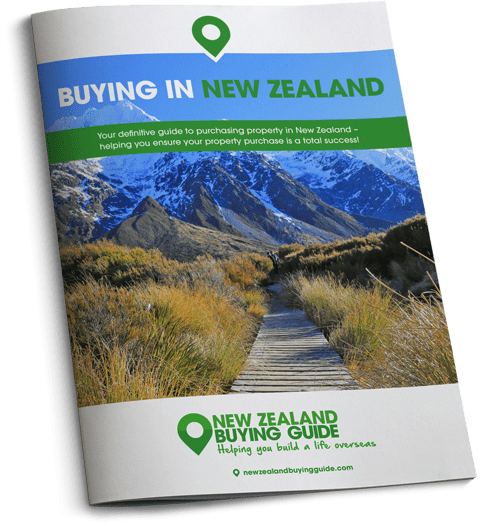 Prices also increased by 8.6% in other North Island locations – Northland to $609,382 (£316,335) and by 8.2% in Hawke’s Bay to $492,740 (£256,000). The Marlborough region, on South Island, which is also famed for its world-class wineries, reached ‘hot status’ in January with a 6.4% price increase to hit an average asking price of $510,030 (£265,000). Getting a good deal is often a question of good planning and research. Download our guide: How to Negotiate Abroad to give yourself a head start. If the hubbub of city life is an absolute must but you don’t fancy shelling out the costs associated with owning property in Auckland or Wellington, you should check out what Christchurch has to offer. The average value of a property in the city is currently $494,000 (£255,600), which indicates a drop of 1% on where it was at this time in 2017. Rent is also affordable, which will be handy when you first arrive. It’s possible to rent a central, two-bed apartment, for as little as $390 (£200) per week. Christchurch also offers excellent job prospects within the IT, manufacturing and construction industries, and is perfectly located close to much of the South Island’s incredible scenery, including Arthur’s Pass and the Banks Peninsula. For the lowest cost of living, look to the city’s outer suburbs, such as Halswell, Kainga, Bromley or Woolston. This three-bed family home offers plenty of space, open plan living, plenty of natural light and is an absolute bargain at $419,000 (£219,000). The second-largest city in South Island has an average property price of $380,000 (£196,660) and plenty of job opportunities within education, health, communications and tourism. The city boasts excellent universities, enjoys 150 hours of sunshine per month and has its own airport, operating domestic flights to Auckland, Wellington and Christchurch, as well as international flights to Brisbane in Australia. This three-bedroom, one bathroom, fully furnished property overlooking the bush is a complete steal for $175,000 (£90,710). The home is perfectly placed for enjoying both the sunshine and spectacular views from its spacious deck, and offers plenty of privacy. 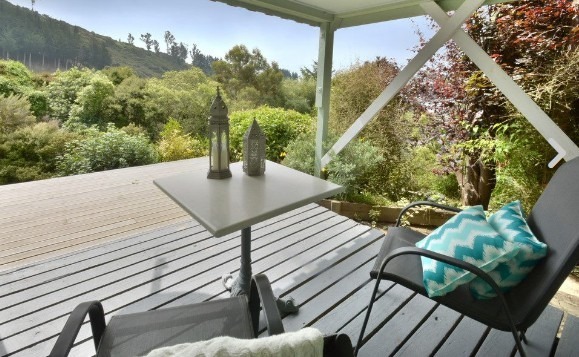 If you’re looking for cheaper property and rent, Rotorua is an excellent option, especially given the town’s natural beauty, popularity and the fact it enjoys 2,133 sunshine hours per year. Yes please! The town, which has a population of 60,000, is essentially the North Island’s Lake District. You’ll be able to enjoy living beside 16 lakes of varying sizes. Lake Taupo is the largest and most well-known. The waterside location of Rotorua means there are plenty of activities to enjoy in your down time, from fishing and paddle boarding, to just chilling out in restorative mud pools or at beautiful hot water beaches. Rotorua is located just under three hours away from Auckland, and the major industries in town are tourism, agriculture and forestry. Hamilton is New Zealand’s largest inland city, and while it’s only 45 minutes away from Auckland, the cost of living is almost 40% lower. The city has a burgeoning business sector and many are predicting it will become New Zealand’s second largest city within a couple of decades! Get in now while prices are low! This six-bedroom rural family home is set in expansive grounds and enjoys its own private swimming pool. The property is on the market for $1,175,000 (£609,350). The values in pounds we show here are based on the interbank rate at the time of going to press. This is not available to the general public, but click here for a free, no-obligation quote from Smart Currency Exchange and a friendly chat about exchange rates in general. You could also download Smart’s Property Buyer’s Guide to Currency, packed with insider tips. In 2018, property experts are predicting we will see significant investment in the infrastructure of the country, teamed with the all-important consenting law reform from the government required to actually get things moving. Currently, New Zealand’s construction sector is running at a record high level, with 170,000 people now employed. The focus in 2018 is expected to be on boosting the productivity of this work force. Around 44,000 new homes are due to be approved throughout New Zealand over the course of 2018 in order to directly address the current housing supply shortage. While this won’t completely solve the problem, especially as Auckland alone has a shortfall of 32,000 homes and a rising population, this substantial growth in housing supply is likely to help house prices drop by 11% over the next two years up until September 2019. During the election, the Labour Party also pledged that they will build 100,000 dwellings over the next 10 years to address the housing shortage and to make it easier for first time buyers to take the first step into the market. Perhaps towards the end of the year we’ll know more about the Labour government’s long-term plan of attack. One of the election promises made by the newly-elected Government was to bring housing inflation under control via building more affordable housing and regulating investor access to the market. Led by new Prime Minister Jacinda Ardern, the government have already made it illegal for foreign investors to buy existing property. They will also no longer be permitted to use losses from property investment to offset tax. This move, and the fact that they will be required to pay tax on any profit if they go on to sell the property within five years, is likely to discourage investors from buying in New Zealand. While it’s a touch too early to predict the likely outcome of reforms, demand from overseas investors is expected to decrease significantly. Forecasts from both the OECD and Infometrics have predicted that New Zealand’s Reserve Bank will raise the official cash rate by mid to late 2018, which should act as a further dampener to demand for property. To counteract the official cash rate being increased, Loan to Value limits have already been eased slightly. This will help owner-occupiers and investors to borrow a higher percentage of their properties. Both of these actions are additional factors likely to push property prices down in New Zealand over the course of the year ahead. Should you move to Christchurch?